With a mission of bringing “A better life, A better world” to all people through its business activities, Panasonic also sets R&D as a top priority. VET spoke with Mr. Yamane Massaki, General Director of the Panasonic R&D Center Vietnam and Mr. Terai Kenji, Director of the R&D Center of Panasonic Appliances Vietnam, to gain a better understanding of the topic. Today, a number of firms and corporations pursue a Blue Ocean Strategy instead of the traditional track in the Red Ocean to create new customer values and increase their competitiveness. R&D is a core activity helping them fulfill this strategy. The firm that can successfully leverage its R&D efforts by translating these into developing new products will find itself ahead of its competitors. Expenses on R&D are taken not as expenditure but as investment. ■ Can you give us an overall picture of Panasonic’s R&D activities around the world and in Vietnam? Mr. Yamane: As a leading Japanese manufacturer, the Panasonic Corporation promotes a growth strategy and R&D activities that generate new customer values in four business areas: Consumer Electronics, Housing, Automotive, and B2B. The company is advancing global-based development in optimal locations in Japan, North America, Europe, and Asia, with an R&D system that makes use of local talent and skills. With nearly 50 years of building a leading brand for sustainable growth in Vietnam, a strategic market of Panasonic in the ASEAN region, Panasonic aims to contribute to the country’s economic growth via business expansion, with an unchanged philosophy of contributing to the sustainable development of Vietnam and a better life for all Vietnamese people. Panasonic has chosen Vietnam as a strategic country to establish two R&D centers to support our manufacturing and business development in the region, which is a unique point that other countries may not have. ■ What is Panasonic’s purpose in establishing the two R&D centers in Vietnam? Mr. Yamane: The Panasonic R&D Center Vietnam (PRDCV) was established in Hanoi in April 2007, with the aim of widening the number of R&D bases of the global Panasonic Group in the ASEAN region. We also want to pursue further efficiencies for the Panasonic Group’s activities by centralizing R&D and manufacturing in Vietnam. We wish to contribute not only to industry in Vietnam but also prosperity in society, just like other companies in the Panasonic Vietnam Group. 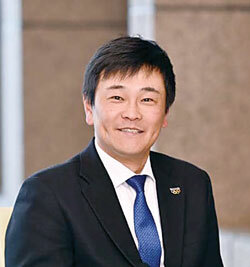 Mr. Terai: In 2013, with a product strategy called “Made in Vietnam, Make for Vietnam”, Panasonic Appliances Vietnam Co., Ltd. (PAPVN) was the first factory in Vietnam that integrated an R&D facility with its manufacturing of refrigerators and washing machines. It is a launch pad for innovation of home appliances, developing cutting-edge products with advanced designs for Vietnam and other ASEAN countries. The establishment of the two R&D centers in Vietnam also demonstrates Panasonic’s business philosophy of “Making people before products”, by developing talented Vietnamese engineers and management staff. We see they are smart and diligent and can apply Japanese technology and manufacturing know-how to develop products that meet the tastes and demands of Vietnamese people. ■ What are your main activities and vision for the future? 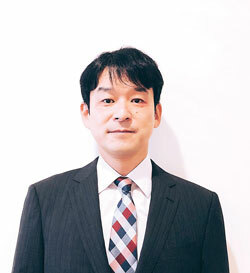 Mr. Yamane: Our main activities at PRDCV are to provide both software and hardware development services with high additional values to the global market and the ASEAN market. Our future vision is to continue our mission and expand our contributions to achieve a sustainable society through our R&D activities. Mr. Terai: For the R&D Center at Panasonic Appliances Vietnam, we are currently promoting the mass production design of refrigerators and washing machines for Asia, but we would like to focus on advanced development in the future. As a vision for the future, we want to maximize the power of Vietnamese members, grasp needs, develop seeds, and commercialize products that Asian customers will be pleased with, keeping Industry 4.0 in mind. Personally, I would like to develop elemental technologies from Vietnam to the world. ■ In what ways do you contribute to Vietnam? Mr. Yamane: Last year, PRDCV celebrated its 10th anniversary in Hanoi. We have developed so many products, such as digital home appliances, web cloud systems, automotive-related products, factory solutions, and mobiles, etc. For the future, we will continue to aim to contribute to both the global market and the ASEAN market with advanced competitive development abilities. At the same time, PRDCV is not only focusing on R&D activities, we also have many training cooperation programs with leading technology universities in Vietnam and Japan, including Hanoi University of Technology, Vietnam - Japan University, Ritsumeikan University, and Kyoto Technology University. We provide internships and long-term training activities to develop talented engineers in Vietnam, who can learn and exchange knowledge and experience with those in Japan. Mr. Terai: I would like to add one more point, that the R&D centers employ excellent students and experienced engineers and provide them not only technical knowledge but also fundamental training as a member of society, and turns them into fine engineers. By sending Vietnamese engineers to Japan through the “Work in Japan” program, we expect they will actively learn advanced technologies and enrich Vietnam by developing and designing products that are suitable for Vietnamese people. The production of refrigerators and washing machines at our factory has reached a level where products can be designed in Vietnam by engineers trained in the country. As a brand built upon 100 years of reliability, Panasonic continues to expand its business in different fields, invest in R&D, develop leading technologies, solutions and products, enhance customer services, and contribute to society through different education and environmental activities in Vietnam. With a mission of bringing "A better life, A better world" to all people through its business activities, Panasonic is contributing to not only improving a quality of life in Vietnam but also strengthening a bilateral relationship between Japan and Vietnam, I think.